MicroSummary: Written at the request of Mr Apple Inc. himself, the eponymous biography of Steve Jobs by Walter Isaacson is based on hundreds of interviews and an unprecedented access to Steve Jobs’ life. Adapted in the 2015 Danny Boyle blockbuster, the authorized memoir follows Jobs’ path from an adopted child to a supreme creative genius. Steve Jobs is not a name. It is almost a noun as “apple”. Or “computer”. Or “cartoon“. Or whatever noun you may be thinking of. You heard it a thousand times and you think you know what it really means without a preliminary lesson. And as every respectable noun, he arouses curiosity: what are his roots? When was he the subject or when was he only a direct complement? Understanding and communicating the life of Steve Jobs is a challenge. Making the Steve Jobs summary wasn’t any easier. Steve was such a genius that he chose a biographer to the height. After the cancer diagnosis which eventually led to his death, Walter Isaacson was the chosen biographer. He already had in his portfolio no less than biographies of Albert Einstein and Benjamin Franklin, and to fulfil the mission, he interviewed Steve on more than 40 occasions for 2 years, as well as more than 100 friends, relatives, competitors, and co-workers. Jobs biography is a collection of fantastic stories, through the ups and downs of his career, his passion and perfectionism and the revolution of six major industries: personal computing, animation cinema, music, e-books, mobile phones, and tablets. Jobs was an inventive genius who knew that the 21st century was based on connecting technology and creativity. Steve cooperated with the book, but he did not interfere in any way. In fact, he did not even read the book before its publication and encouraged all interviewees to be sincere and transparent. His story, captured succinctly in this summary, is a fantastic tale of innovation, character, leadership, and values. Those who knew Steve Jobs as a child may not have imagined that he would reach the top of the business world by founding and leading the most valuable company in the world. Born in February 1955, the son of a Muslim father named Abdulfattah and a Catholic mother named Joanne, he was put up for donation because his father did not share his mother’s Catholic religion. He was adopted by Paul, an engineer who worked as a mechanic and Clara Jobs. Living in Silicon Valley, a rich environment for technology experiments, Steve was introduced to the world of engineering and design by his own adoptive father. Despite being welcomed by his parents, he fought throughout his life against feelings of abandonment. The Steve boy was extremely precocious, impertinent and intelligent. Proof of his daring is that when he was 13, he phoned Bill Hewlett, Hewlett-Packard’s president to order electronic components for a school project. Working with his father, he learned to be proud of his work and to be thorough. From childhood, he had already demanded the perfection of himself and the people around him. As a teenager, Jobs became interested in the computer world and the hippy culture that spilt over into the Valley at that time. Steve experimented with drugs like LSD and other psychedelics, and later he would attribute some of his creativity to these drugs. For Steve, his experiences with LSD helped him to understand what mattered in life and to see other perspectives on the world. In addition to his interest in altered consciousness, Steve was also interested in spirituality. He walked barefoot and rarely bathed and followed his growing interest in spiritual philosophies spending seven months in India, where he learned more about intuition and introspection. At first, he embraced the possibilities of computing, much more for his potential to raise human consciousness than for his business or commercial applications. But the Zen influences failed to soften his increasingly critical and arrogant behaviour. Steve Wozniak was a timid electronic nerd who shared with Steve the taste for Bob Dylan’s classics. They invented a device called the “Blue Box” that mimicked the wrists of a telephone line and allowed people to hack into the telephone system, making free calls. Wozniak was superior to Jobs technically, but Jobs had the determination and the spirit to market the products. Woz invented and Jobs sold. After visiting a farm, Jobs imagined that “Apple” was a gentle and simple name. With only $ 1,300 in 1976, Apple Computer was founded. In Jobs’s garage, he and Woz worked together and created the Apple, their first personal computer and their second version, the Apple II. The Apple I consisted of a case with a built-in keyboard that plugged into a TV and software that would allow the end consumer to operate a computer. With this, they managed to take the computing from the world of nerds to put it in the house of people. Wozniak developed the circuit boards as Jobs linked computing power to a friendly packaging that represented his obsession with perfection. In just 30 days being marketed, the Apple I was already becoming profitable. For the Apple II, the project was more audacious and perfectionist. But Steve was rude and rude to his employees. He seemed not to care about their feelings and focused only on the details of the product itself. Given his imbalances and emotional instabilities, Mike Scott was appointed the president of Apple Computer, and eventually, there were conflicts between employees and Jobs, who had to be mediated by Scott. Steve’s obsession was so great that he came to reject more than 2,000 shades of beige for the Apple II box and Scott had to decide at the end. Steve also insisted on offering a one-year consumer warranty when the industry standard was 90 days. When his colleagues confronted him, Jobs screamed, spoke and sometimes even cried, but he always got what he wanted. His closest collaborators learned how to deal with him, but he was a master of manipulation, always trying to do everything his way. But the company was doing so well that this situation ended up being tolerated internally. The Apple II has sold 6 million copies and is considered one of the cornerstones of personal computing. For Steve, that was not enough. He wanted to build a computer that would leave a mark on the universe. So Jobs began working on the Macintosh, the successor to the Apple II that would lead him to stardom. The impetus for further action prompted Jobs to assemble a renegade team of “pirates” inside the company to compete internally with the Apple team that was building the computer Lisa (named after the illegitimate daughter Jobs first was reluctant to acknowledge, but later welcomed). The Macintosh was not a unique creation of Jobs, in fact, some ideas were “appropriately” (stolen?) from others, but the project gave life to a machine that was powerful enough to display sophisticated graphics and be controlled by a mouse. The Macintosh was an absolute success especially due to the TV campaign of the commercial called “1984”, directed by famous Hollywood director Ridley Scott. The commercial was so successful that sales exploded and everyone came to know Steve Jobs. He got interviews in every major magazine manipulating journalists as if he were giving them an exclusive.The Macintosh made Steve rich and famous, but his personality was eroding the company. His oppressive and perfectionist behaviour was making the employees feel disenchanted and depressed. This behaviour caused his dismissal from Apple by its board in 1985. After recovering from his resignation from his own company, Jobs noticed that he could now do things his own way. His first project was a computer for the educational market called NeXT. With Next, he resumed his passion for design. He invested more than $ 100,000 just for the company logo and wanted the computer to be in the form of a perfect cube, but that made manufacturing costs too expensive. The NeXT almost broke, the launch was delayed in years and in the end, the product was too expensive for the consumer. Its high cost and the lack of availability of software caused the project to fail. At the same time, Jobs bought control of a company called Pixar. As chairman of the board, he created a strategy that combined technology and art. In 1988, Jobs had already lost tens of millions at Next and invested $ 50 million in Pixar. Pixar released a movie called “Tin Toy” that won the award for best animation and this made Jobs shift its focus to the animated film business. Eventually, Pixar partnered with Disney and released their first movie, Toy Story, which became the most profitable film of the year 1996. Pixar made an IPO, and Steve’s stock was then valued at $ 1.2 billion. In addition to his new business, Jobs tried to reconcile his personal life, reconnecting with his biological family. In 1986 after the death of his adoptive mother, he met his biological mother. He was surprised to learn that she had a sister who was artistic and temperamental and they became close. At the same time, he met his future wife, Laurene Powell, with whom he married in 1991. The couple had two children, Erin and Eve. With Laurene’s encouragement, Jobs also spent more time with his daughter Lisa, who was as temperamental as Jobs. In some cases, they would remain months without speaking. In private as well as in his professional life, Jobs was either very passionate or extremely distant. After Jobs left, Apple fell into decline. In 1996 Gil Amelio was appointed CEO, and he wanted to bring new ideas to restore the company. In 1997, he bought Next and made Jobs an advisor to Apple. Once back at Apple, Steve took as much control as he could. He put his favourite NeXT employees in the highest positions at Apple. The company was not doing well, and the board decided to give Jobs a new chance as CEO. But Jobs declined the invitation. He preferred to retain his advisor status to gain more influence in the company. He managed to sew a partnership with Microsoft to develop Office for Mac and thus ended the battle between companies. He rejected entire product lines, fired irrelevant employees and cut the whole stockpiles. Jobs had transformed himself from a free-spirited corporate rebel to a uniquely dedicated, collaborative yet volatile executive. He believed in “deep collaboration” between departments and in engaging and cultivating “A-players”, high-level talents. 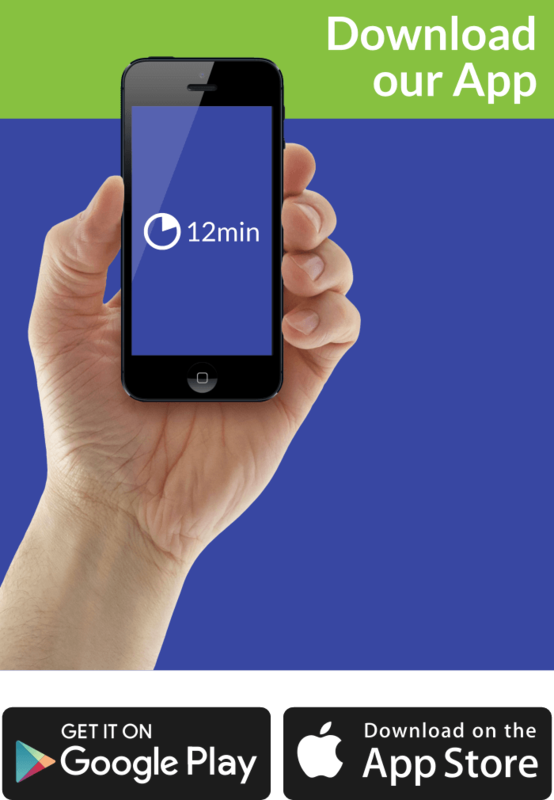 Thus, a potential marketing engagement had to be hounded by designers and software engineers. “Simultaneous Engineering” meant that the products under development went through simultaneous reviews of manufacturing, design, marketing, and distribution, rather than going through each area sequentially. This ensured that everyone had a stake in the development and creation of new products. Jobs hired Tim Cook to run operations, and the two connected and quickly became friends. Cook would eventually help Jobs lead Apple. The strategy worked: Apple, which was 90 days from insolvency, turned a loss of $ 1 billion in 1997 to a profit of $ 309 million a year later. Jobs had a strange ability to persuade people to follow his vision and ideas. He demanded what others considered impossible. Thus, glimpsing the impossible, he made things happen and changed reality. He focused so intensely on what interested him that he sometimes ignored everything else, including his wife, Laureen, their children – Reed, Erin and Eve, Lisa – and their family and friends. Steve was cruel and extremely critical of others and his work, but even so, he cultivated faithful, almost fanatical assistants. He never clung to material possessions, living in unfurnished homes, but his passion for products made Apple a giant. Jobs believed that the rules did not apply to him. The man who refused to put plates in his cars and parked in places reserved for disabled people invented products that consumers did not even know they wanted but for which they soon fell in love. Steve Jobs learned the importance of design quality with his father who taught him how to make beautiful the hidden sides of a cabinet mattered as much as creating an elegant front. From his forays into the Eastern philosophies, Jobs understood that product design was at its core. He met a designer named Jony Ive, who became his right-hand man and # 2 at Apple. Mr Jobs elevated these concepts to the point where he believed the presentation of Apple products could convey as much meaning as the products themselves. Even packaging was crucial. Jobs got so involved in the design minutiae that his name appears on several patents of Apple products. Jobs caught the attention of the public when Apple introduced the iMac in 1998. Quickly the computer developed along with Jony Ive became the computer that sold fastest in history. The round, fun-looking computer came with a semi-transparent coating and was available in five colours. Jobs made the interior as attractive as the exterior. When Apple extended the range of colours, Microsoft’s Bill Gates painted his PC in red and mocked that the iMac would be a fad. In addition to the obsession with design, Jobs wanted to control the entire distribution chain. Hence came the idea of having your own physical presence, the Apple Store. The first Apple Store came in 2001 and was a great success. Today, Apple Stores are still the result of the almost obsessive need for control of Jobs. Computers were different, but retailers generally did not focus on explaining differences to buyers. 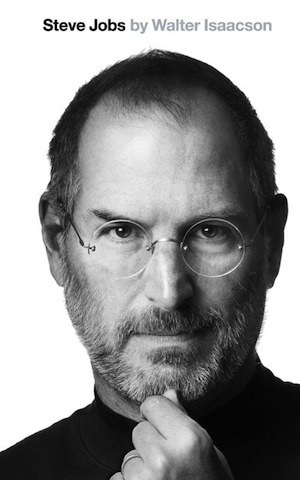 Jobs wanted to manage the consumer experience, just as he had influenced all other aspects of computer design and production. Therefore, he resolved to design sales points with the same taste he brought for everything else. He insisted on expensive and busy places. He patented the design of the titanium and glass staircases of the stores. He wanted more than a store. He wanted a customer experience that was associated with the spirit of Apple products. Jobs took the “Top 100” employees (the ones he would choose to put on a “lifeboat and take to his next company”) at an annual retreat to discuss Apple’s future. In 2000, the company’s transformation began. The personal computer evolved into a digital cube that could manage the consumer’s digital lifestyle, from written communications to cameras, music players, and video recording. Apple removed the word “Computers” from its corporate name to explore the potential of the internet to connect and integrate these different aspects. For example, iTunes grew out of Jobs’s perception that downloading music over the internet would change the music industry: the iTunes store sold a million songs in the first six days. The iPod resulted from the need for a better music player, and among its innovations, the scroll wheel is included. The success of the iPod, built on the sales of the iMac, consolidated the brand. In January 2007, the iPod accounted for half of Apple’s revenue. Still, Jobs kept looking for the next big release. Identifying cell phone as the next wave, he left a new mark on the universe and unveiled the iPhone, combining iPod, telephony and internet access. It alone accounted for more than 50% of total global cellphone profits in the year 2010. The idea of a tablet predated the iPhone, but in 2010 experiments with the iPhone paved the way for the next revolutionary item: the iPad. In the case of the iPad, Apple sold 1 million units in the first month and reached 15 million in just 9 months. Jobs believed that his cancer, diagnosed in 2003, resulted from the stressful moments he experienced when he led Apple and Pixar in the late 1990s. Treatment for kidney stones led to an examination that discovered his cancer. Even so, the prognosis was good; the tumour was treatable and slow-growing. However, Jobs rejected medical recommendations for surgery. He consulted nutritionists, acupuncturists, followed vegetarian diets, underwent colon cleanings and banished negativity from his thoughts. Steve Jobs has transformed industries, invented new forms of communication, put the world at your fingertips, and made it fun, intelligent and cool. His belief that the product was everything guided Apple’s philosophy and its focus on how the consumer would perceive and use those products. Jobs felt, just like his idol Edwin Lan of Polaroid, that he was in the “intersection of the arts with science.” Like Walt Disney, Jobs wanted to leave a company that contributed to society and represented more than just profits. He recognized that his personality was difficult and that his behaviour was sometimes cruel but believed that being honest was the only way to give his best and extract the best from those around him. Nugget tip: How about checking out the Walmart founder Sam Walton in our Made in America summary? You may also be wondering how Walter Isaacson came to the idea of writing this biography. The truth is…that this idea wasn’t of Walter Isaacson at all. But he didn’t want this biographical book for his own recap. It was just another thing he wanted to leave behind. This is just a teasing. 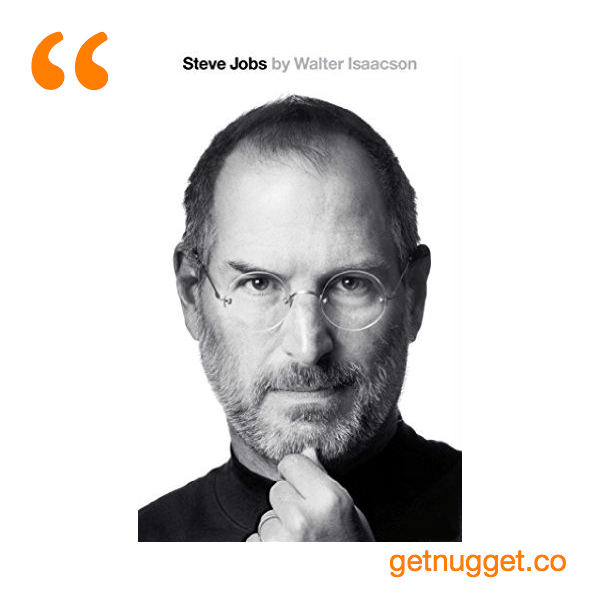 Take a look at this 30 great nuggets from Walter Isaacson’s book – the Steve Jobs biography.